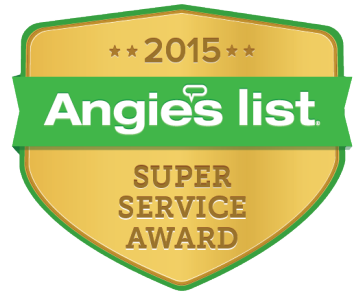 We are honored to make the Angie’s List Honor Roll this month and awarded the Superior Service Award for 2015 as well as 2014. Awarded to top companies for outstanding reviews, 3 Blind Mice is proud to receive this honor of Superior Service for 2015 as well as 2014. We have been named to the honor roll for outstanding service as one of the best window covering companies in San Diego. This is the second year in a row 3 Blind Mice has received the Superior Service Award! After receiving this honor in 2014, we wanted to make sure each and every year we continue to do our best. We are glad our hard work attending window covering conferences to learn window treatment trends has continued to pay off. Keep sending us feedback and we’ll keep bringing you superior service. To all of our loyal customers, thank you for taking the time to write us a great review. Without your feedback, we wouldn’t be the window coverings company we are today. It has been a pleasure serving our communities throughout San Diego, CA, Orange County, CA, and Sacramento, CA. If you are a satisfied customer of 3 Blind Mice and an Angie’s List member, we would appreciate your review and truly value any feedback you have. Visit Angie’s List to view and leave reviews. You may only see and leave reviews if you are an Angie’s List member. You can also post other feedback on our reviews page.